I walked by the Ranger Tug 23 several times at the Seattle Boat Show. To be honest, I had low expectations. It was new, small and I did not even bother to go aboard at the show. When the email came through inviting me for a sea trial, my curiosity was piqued. 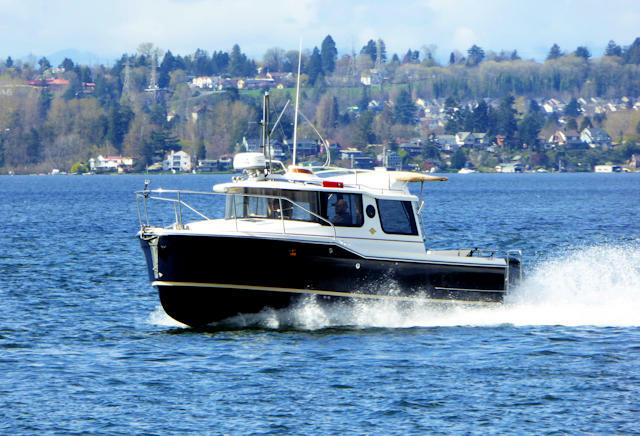 The end result―a pleasant surprise―the Ranger Tug 23, also called the R-23, is a very capable pocket cruiser for a bargain price of just under $100,000. Dave Livingston and his crew have done it again. Like their other boats, they’ve managed to take advantage of every inch of space in the R-23. 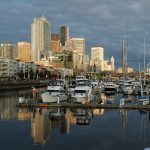 It has stand-up headroom, a v-berth, a small galley, and a head and shower “area.” Hmmm, run the Inside Passage from Inn to Inn with a few beautiful nights on the hook? The R-23 is open and airy with windows and port lights in all the right places, which allow for views to beautiful cruising areas, and many open for plenty of fresh air. Then there’s the optimal cruising speed of 23 knots at 3 miles to the gallon! And the R-23 is light enough at 5,000 pounds you can trailer it behind a mid-sized pickup. You can “cruise” at 55 mph on the road to Baja or the cruising destination of your choice. 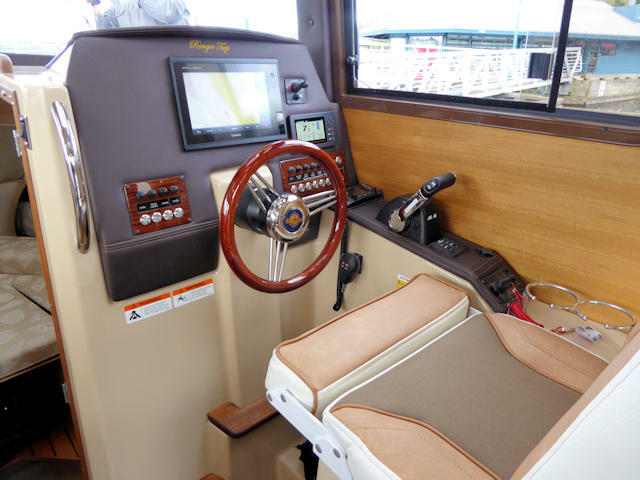 The cockpit is roomy enough for four anglers with tons of storage thanks to the standard 200hp Yamaha being hung off the swim platform. 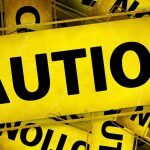 Let me fall on my sword or at least the fluke of an anchor; I was wrong about so many of my assumptions about the R-23. There is a reason why Ranger Tug and its sister brand Cutwater Boats, are the top selling new boat lines. This vessel seems to be bigger on the water. Standing in the boat (yes standing), I had a great view of my surroundings when anchored or underway. The design and lines of the vessel carry the tug look, without being cute. 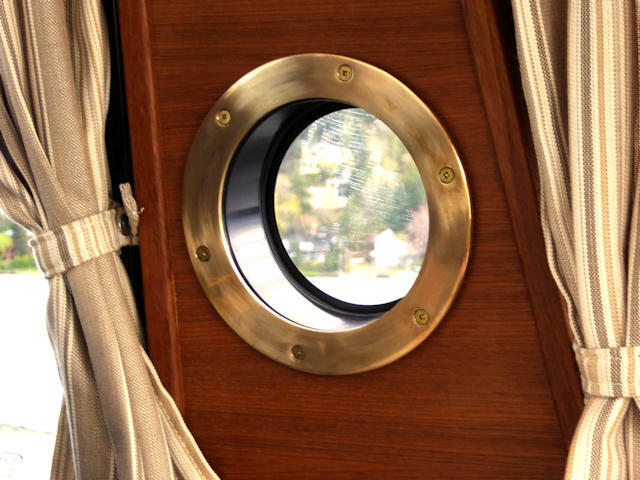 The curved windshield looks smart and sweeps around to a round bronze portlight and a larger window over the dinette and galley area. From the cockpit, there is a sturdy door to the cabin and an innovative opening glass bulkhead behind the dinette. 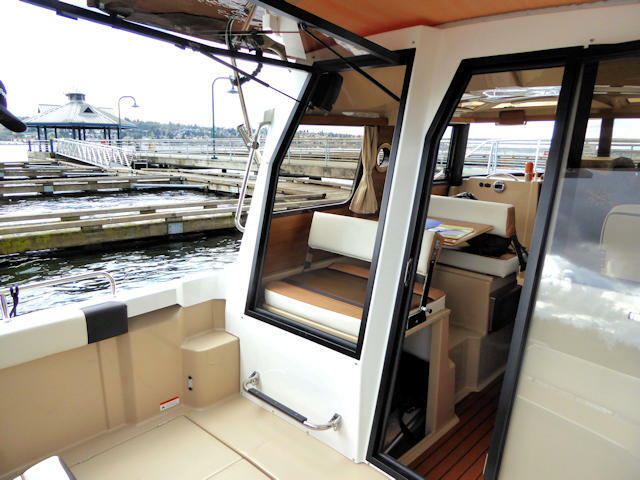 With the glass open, and the back of the seat flipped around, you can sit there and enjoy the action in the back of the boat. The large cockpit has many storage areas and includes space for the start and house batteries. 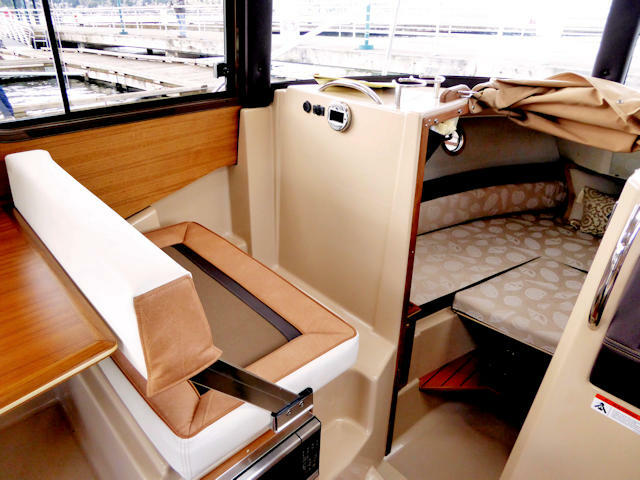 There is a folding bench seat, and stainless steel handrails throughout the boat, including the swim platform. The Yamaha 200 sits all the way back on a swim step bracket freeing up plenty of space. A Volvo 170HP Diesel Duoprop sterndrive is an optional engine package for $10,000+, but I liked the performance of the Yamaha 200 and the amount of space it frees up. It is also quiet. At idle I barely heard it, and even at full WOT (30 knots), it purred quietly. We ran the boat at different power settings but were most surprised at the optimal cruise speed of about 23 knots burning 3 miles to the gallon; this design is fast as well as fuel-efficient. I could get used to traveling smoothly at 23 knots all day long, inside and protected at the comfortable helm of the R-23. Inside, the R-23 is well appointed and extremely well laid out. A galley prep area has a single-burner electric/alcohol stove. (Alcohol stoves often have a bad reputation, but I like them. I had one in a prior boat that performed just fine.) There is a Nova Kool fridge/freezer and the stainless steel sink with a cutting board insert, is served with a modern looking faucet and plenty of storage below. 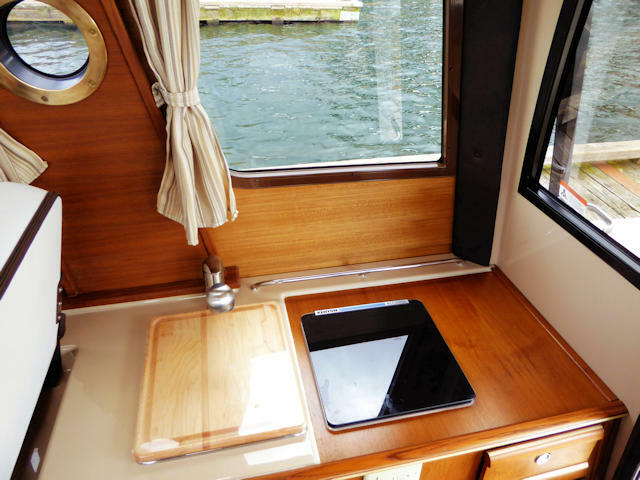 On the port side, the dinette will seat four, and drops down into a sleeping space for two. The backrest for the forward settee hinges back and becomes a comfortable forward facing seat when cruising. This station is served with USB and cigarette lighter adapter plugs for charging iPads, smartphones, and other electronic devices. The stereo system is standard with speakers mounted inside the cabin and outside and the cockpit. Under the seat is a small microwave. Under the rear seat is an opening to a tight quarter berth, good for kids or grandchildren, although I suspect many use this for additional storage. When you step back and look at the overall design, the R-23 has the Dave Livingston touch with an efficient layout, just like Dave has done on so many boats before this from Bayliner, Wellcraft, Reinell, Regal, and others. It is said that more people are out cruising on Dave Livingston designed boats than any other designer. The R-23 is a stable and efficient boat underway incorporating the company’s patented Laminar Flow Interrupter hull design which you can see where dimples are molded into the fiberglass hull to add air to the water flow along the hull. The industry needs well equipped, capable boats, priced new and at under $100,000. It’s a great way to bring new boaters with youth and vitality into the boating world and keep the cruising industry alive. I realize $100,000 is not pocket change, but when you compare the R-23 to anything else out there it represents a very good value for a pocket cruiser. 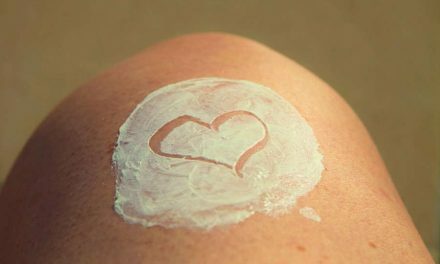 It’s easy to understand why so many are being sold to new boaters and young families. 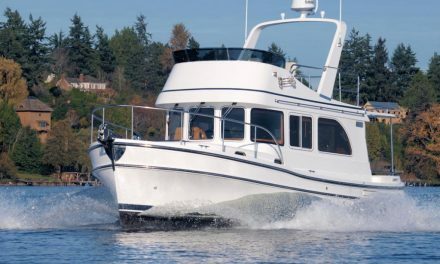 It also gives boating couples who want to sell the big boat but don’t want to get out of boating, a downsizing option. With the R-23, boaters still have a capable cruising boat with the added advantage of being able to tow it on a trailer and store it in the yard. Dave Livingston and his team have taken on the challenge of delivering a 23-foot pocket cruiser, and they manage to fit so much into a small package that will easily trailer anywhere for under $100,000. 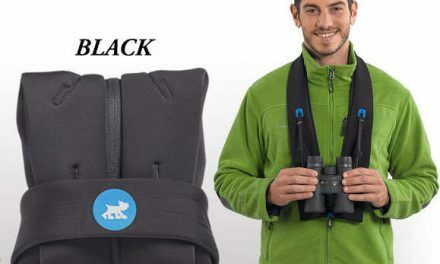 I found that seeing is believing. If you saw this boat at the boat show and walked on by – give it a second look. Standing in the main cabin and even down below with all the windows around you and you will see the ingenuity of the design and how you could have a lot of fun with this boat. If you are dreaming about a capable cruising and fishing boat, give this design a good, hard look. Dave and his team have taken on the challenge of delivering a 23-foot pocket cruiser that is roomy, economical, and trailerable. As a result, the orders are rolling in for the Ranger Tug 23. The comfortable seats are at a good height for cruising with USB and power connections. A good quality stereo and speakers in the cabin and outside in the cockpit are standard. The Garmin 7610 chartplotter and a VHF radio are standard. The helm has plenty of room to add other electronics. The glass bulkhead swings open to galley seating can face the cockpit. The Ranger Tug R-23 can be trailered anywhere with a medium-sized pickup truck. 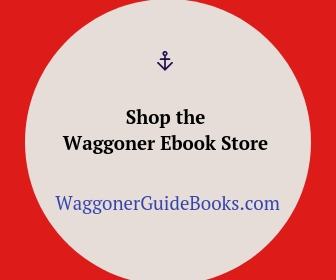 Contributor, Editor and Publisher of the annual Waggoner Cruising Guide, co-author of Cruising the Virgin Islands, and nautical publisher and distributor at the Waggoner Store. 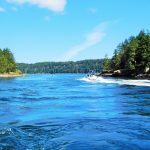 Mark’s boating experience began at the age of 15 and has cruised the Greek Islands, the Bahamas, the Caribbean, Honduras, Mexico, Vietnam, and the Chesapeake Bay. 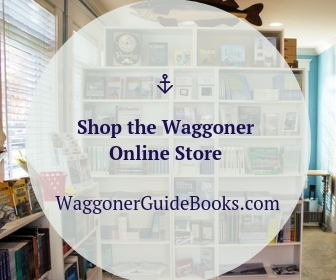 Each year, he cruises to Waggoner Guide destinations in the San Juan Islands, Inside Passage and Southeast Alaska. 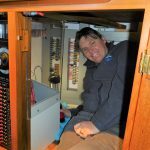 Mark’s work can be found in Power Cruising, Pacific Yachting, Latitudes and Attitudes, Soundings, Dockside, Northwest Yachting Magazine. 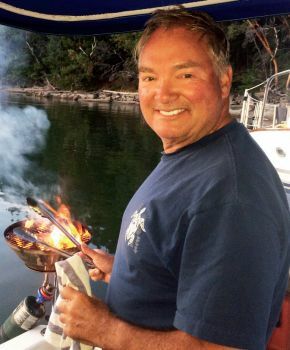 Mark also teaches seminars at Boat Show University, Fine Edge Nautical Seminars, and Cruiser’s College.